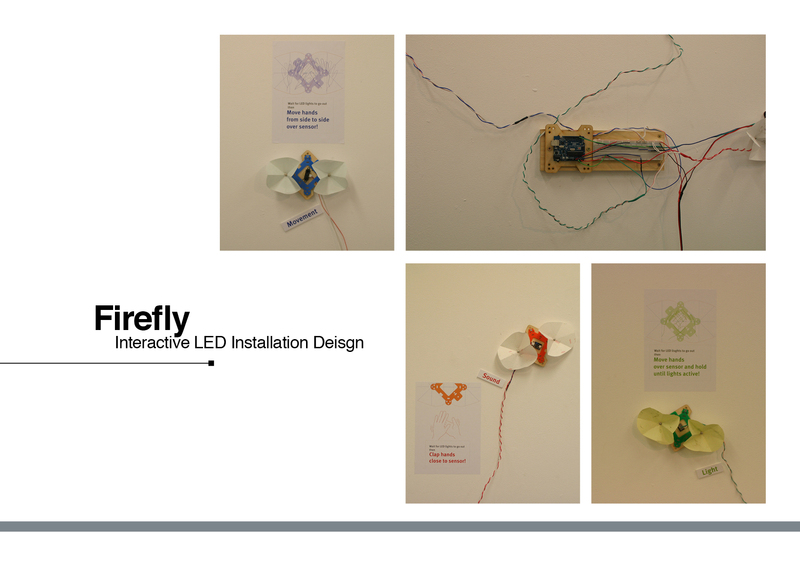 Firefly is one of my master research projects that explores the relationship between nature and technology. Fireflies can only live in places free of pollution. In this way they symbolize the concept of a pure, untainted nature as envisioned by the Romantics. This inspired me to create an installation based on the firefly. The Firefly installation aims to encourage and express interactions between humans and technology. 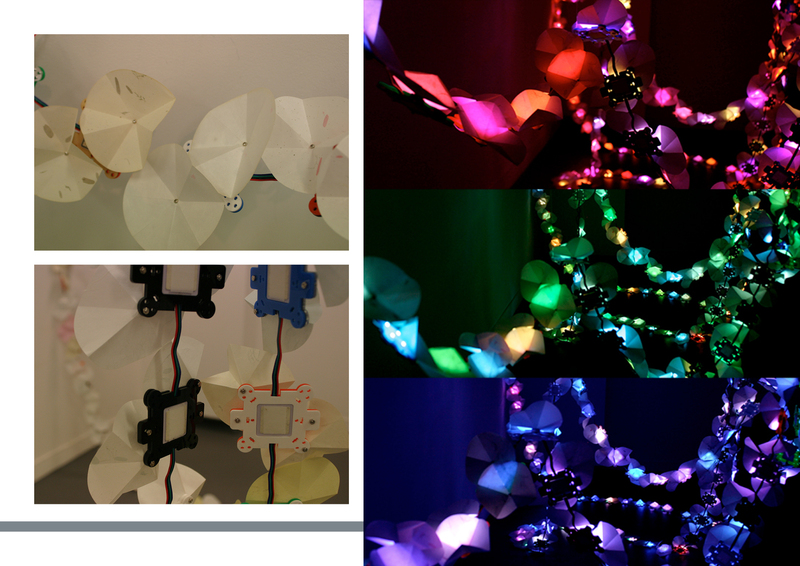 Around 150 firefly LEDs illuminate the constructed environment through varying patterns influenced by viewer input. Their combined digital display creates three different types of visualizations: A red environment, a rainbow one, and a green one. Each represents different world themes. Red refers to human society, psychologically being the color of danger, heightened awareness, and anger (Johnston 2005). Rainbows refer to man’s visible spectrum of colors. Green refers to imagery of calm and safety, as well as nature and the Earth. This range of colors represents human emotions through a technological channel according to interactions between humans and fireflies. Firefly from newnyt on Vimeo. 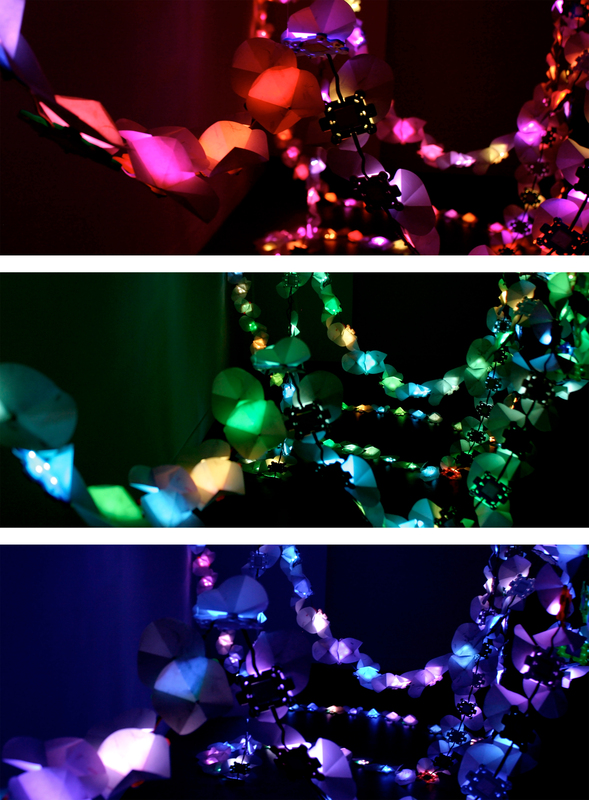 Firefly Installation 2012 from newnyt on Vimeo.